Microsoft Garage's Favorites Lock Screen app launches on Android. 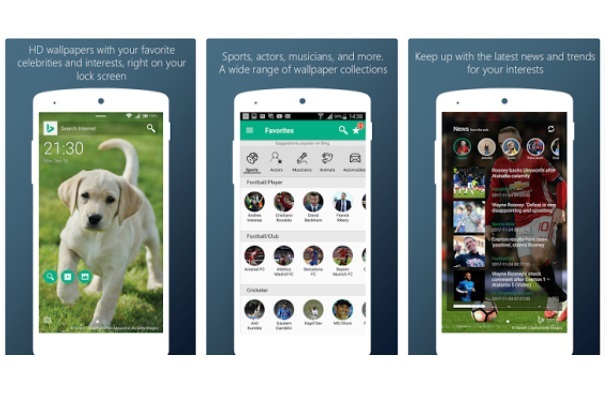 Microsoft has today released Favorites Lock Screen app for Android devices. Microsoft's Favorites Lock Screen app for Android gives fans daily HD wallpapers and news about their favorite celebrities and interests right on the lock screen. Favorites Lock Screen is a Microsoft Garage project, is now available in India on Android. A unique lock screen app, Favorites Lock Screen offers you a host of wallpapers. Whether you want to follow your favorite footballers, cricketers, and actors, past and present music icons, scenic shots, or your adorable pets, Favorites Lock Screen shows you what you're a fan of, all while helping you do more right from your lock screen. Add some daily zing to your smartphone lock screen with wallpapers and news about the stars and interests you care about.